When Monday rolls around you don’t have to leave your faith back in Sunday school or slide toward what’s popular (risking painful regrets). You can build the courage right now to “stay Christian” around your peers—and ultimately lead them to faith in Jesus. This book can help. 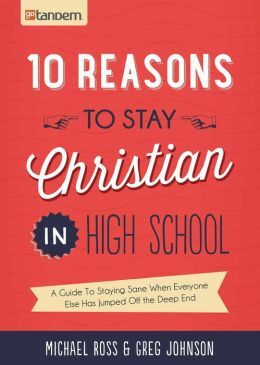 10 Reasons to Stay Christian in High School is filled with everything you need to know to survive and thrive … and LIVE what you believe.